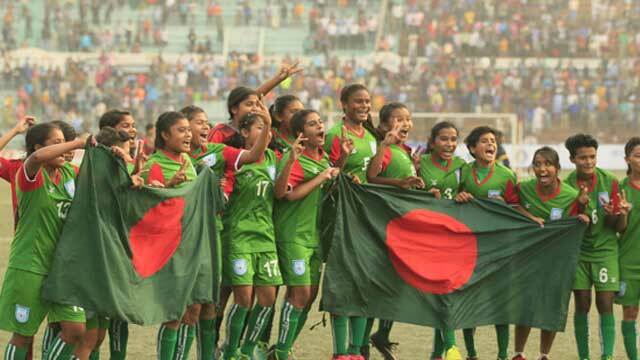 Dhaka, Mar 30 (Just News): Bangladesh U-15 women’s football team made a flying start in Jockey Club Girls' International Youth Football tournament with a thumping 10-1 win over Malaysia in Hong Kong this morning. Bangladesh will play their second match against Iran tomorrow. Iran are scheduled to play hosts Hong Kong today afternoon. The four participating nations will face each other and the table topper will emerge as champions.